The Cup Trophy is a premium plastic trophy set on top of a marble base. 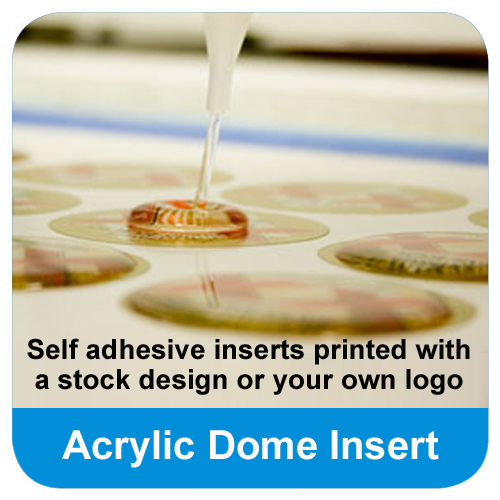 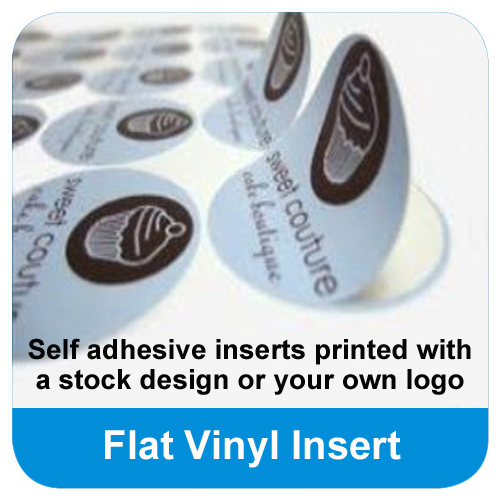 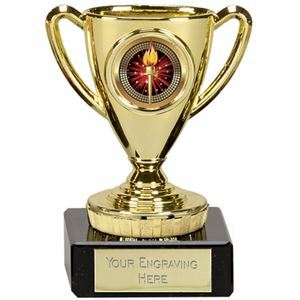 The Cup Trophy is available in a choice of 3 finishes, gold, silver and bronze, and features a small cup shaped topper with space in the centre for a printed vinyl or domed acrylic logo or image insert. 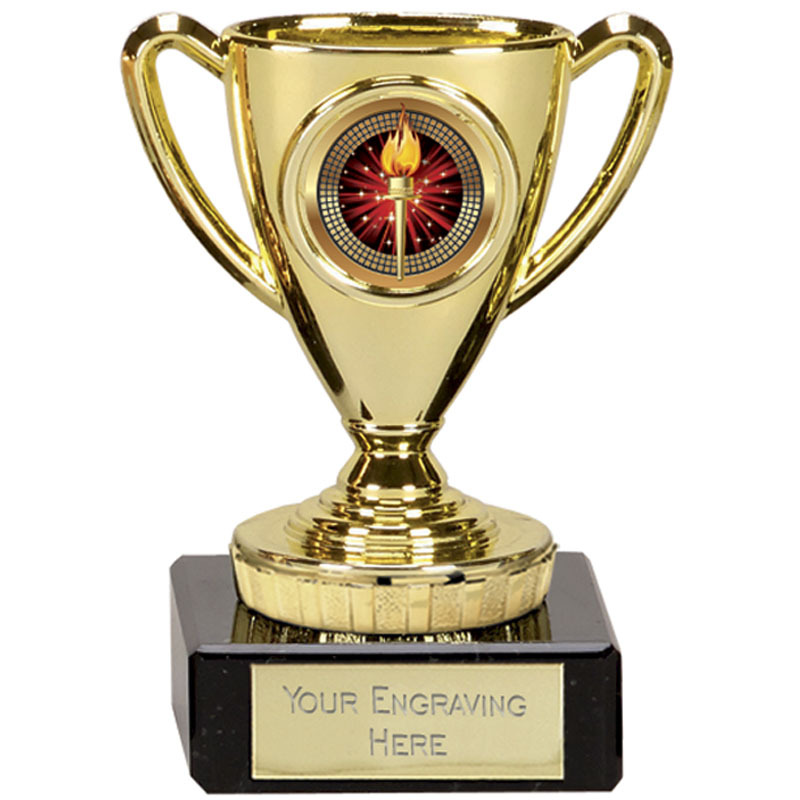 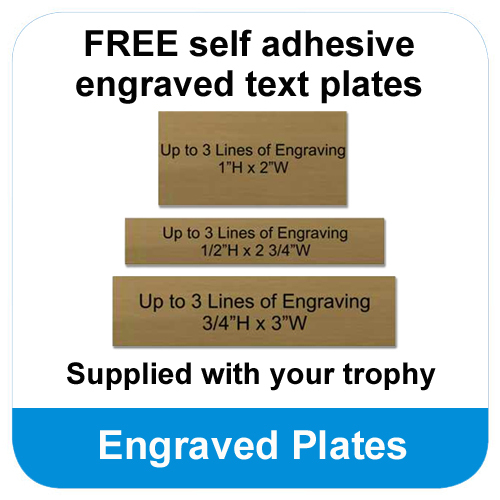 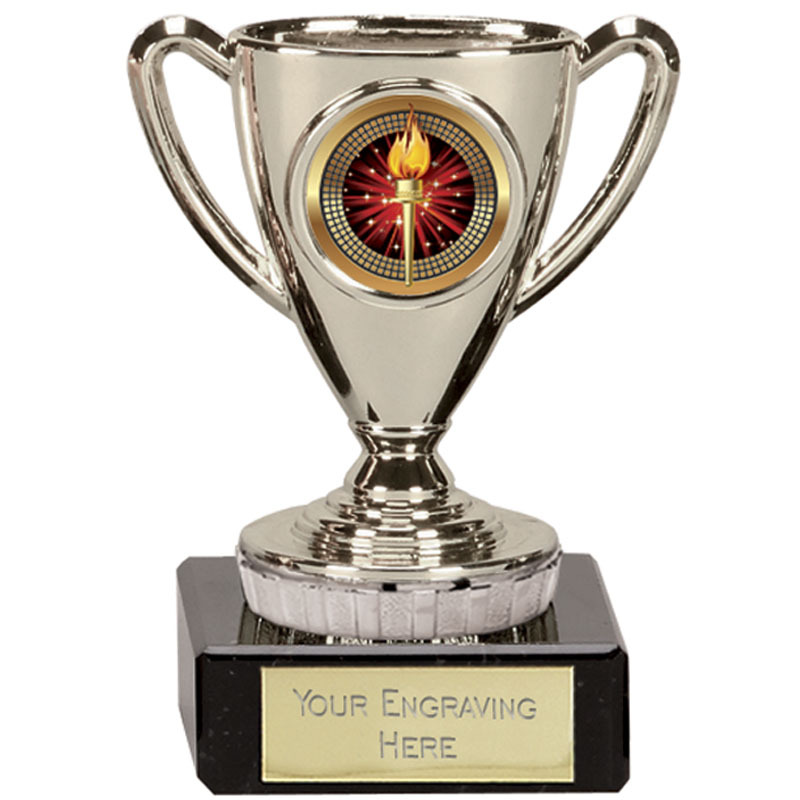 The Cup Trophy is also supplied with a FREE self adhesive engraved text plate that can be applied to the marble base.